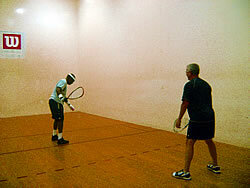 For the convenience of our members, we have an official-sized racquetball court available for usage during club hours. This court can be reserved in person or by phoning the Front Desk no sooner than one day in advance. The court is reservable, on the hour, for 1 hour intervals. 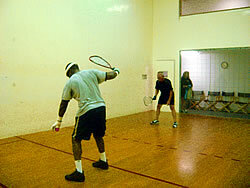 Racquetball footwear is required (i.e., no “black-bottom” shoes or street shoes are permitted).